The ring in the photos has been sold. 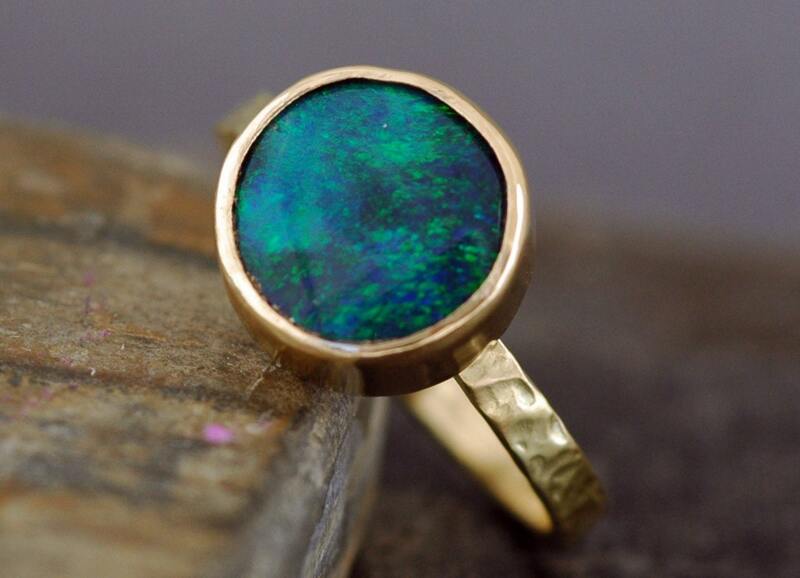 This listing is for a one-of-a-kind, custom-made opal ring. 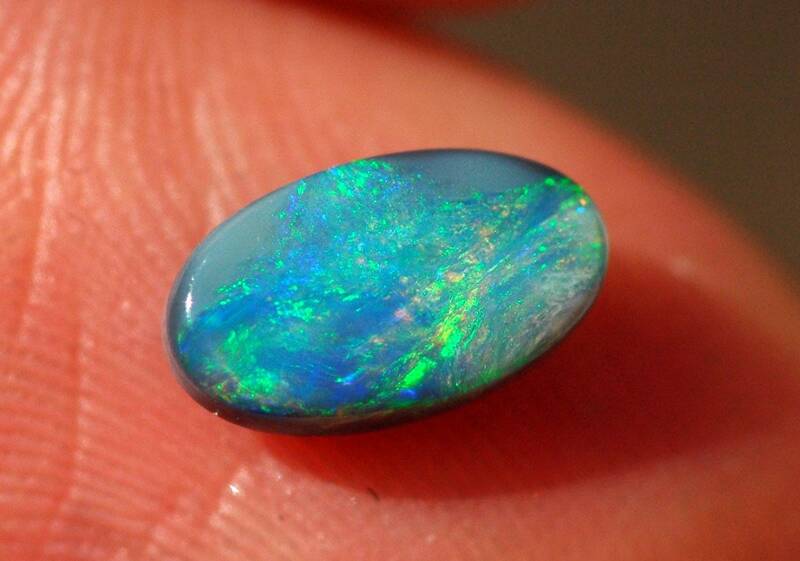 The opal is in the two final photos. The ring shows a 16mm round stone. 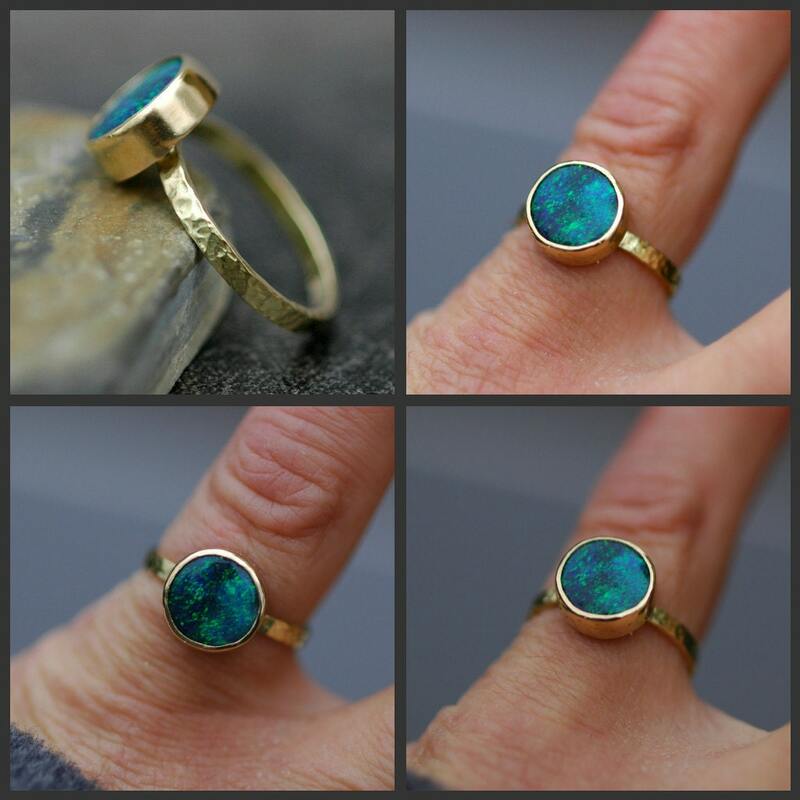 The opal available to be set into your custom ring in this listing is 8.5mm long, so roughly half the size. Please get in touch if you have any questions at all- I am happy to help. As this is a custom listing, please see my shop announcement for my current production time. 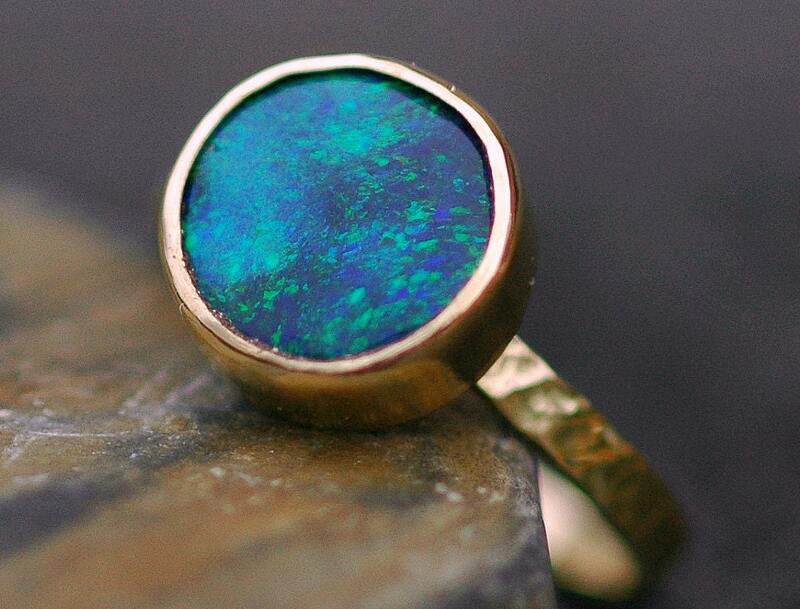 This ring will be built around a 8.5 x 5mm oval shaped solid semi-black opal. The opal is a fantastic play of green and blue, and shimmers from all angles. The colour play is very strong, and varies in hue according to the type of light you view the stone in. 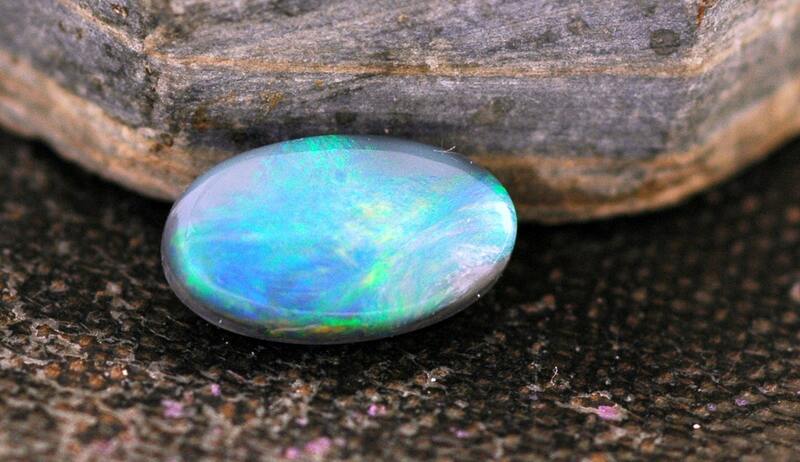 The photos of this opal were taken outside in strong sunlight. Opals are very difficult to properly photograph, but my opal collection was chosen for their strong, consistent colourplay and gorgeous appearance. I chose my opals from an opal dealer in Australia- they are from Lightning Ridge, where the world's best black opals are mined and cut. The ring is made from recycled gold. On the ring in the photos, the bezel has been given a brushed texture with a high-shine lip, while the band is hammered and polished. I can also build this ring from 18k white or rose gold, and can give it any finish you like.